Product prices and availability are accurate as of 2019-04-19 11:47:36 UTC and are subject to change. Any price and availability information displayed on http://www.amazon.com/ at the time of purchase will apply to the purchase of this product. 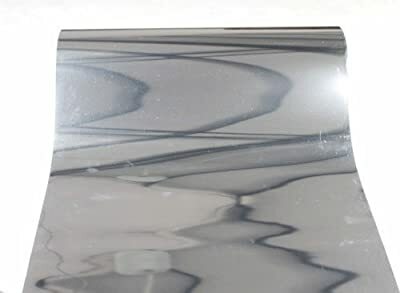 thickness is 0.4mm, good in third dimension; Resistance to rub, washable, powder will not be removed for machine washing, can be used for any kind of washing method, no crack for high/low temperature; Suitable for plotter cutting or manual cutting, can be thermoprinted by heat press or iron. Water-proof cotton dress can not be printed (surface has one water-proof coating layer). Suitable for all kinds of fabric materials, not restricted by the colors of printed material, covering sthength is strong, it has a wide range of application, suitable for printing of sportswear, LOGO, single color pattern, garment accessories, etc. Also can be used for textile material, leather products, luggage products, paper, polyester oxford, non-woven fabrics, such as T-shirt, shirt, jeans, sportswear, pillow, car seat covers, headrest, window curtain, etc.